Cool New Pocket Wizard stuff. 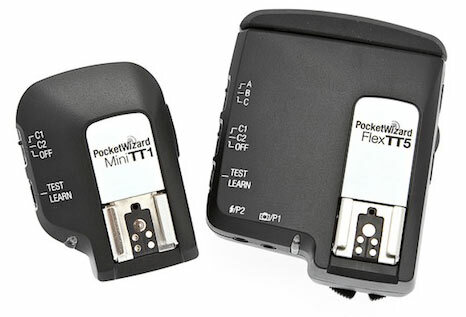 Pocket Wizard just announced some very cool new features for the MiniTT1 and FlexTT5 transceivers. The big announcement has to be the new ability to adjust the manual power settings of your remote Canon Speedlites directly from the flash mounted on your on-camera MiniTT1 or FlexTT5. Very sweet. Now we have the option of full TTL or shooting manually and making adjustments remotely. It sounds a lot like some of the features of the Profoto Air Remote I shot with last month. Being able to remotely control lights is nice if you are short an assistant or have lights mounted out of reach (10 feet of the ground on a stand, etc). Another new feature is the Basic Trigger Mode. This allows the MiniTT1 and FlextTT5 to work as a normal PocketWizard transmitteron any camera that they will fit (this means you Nikon). Although this doesn’t give Nikon and other cameras the fancy TTL features it does allow everyone the small form factor of the MiniTT1. And since the MiniTT1 works with all of your other PocketWizards you’ll be set to go. So when is PocketWizard going to release a Nikon version of the MiniTT1 and FlexTT5? I don’t know. I do know they are working on it and I’d be surprised if we didn’t see some Nikon compatible units in a few months. South Burlington, VT – In addition to the previously announced new features and updates to the ControlTL firmware, PocketWizard has added a new feature and this one’s a biggie. Now you can adjust the manual power settings of your remote Canon Speedlites directly from the flash mounted on your on-camera MiniTT1™ or FlexTT5™. Working with a Canon 580EXII in the shoe of the MiniTT1 or FlexTT5, you can independently control the power output of up to three groups of lights (you can have as many lights in each group as you want) from full power down to the lowest setting simply through the user interface on the back of the 580EXII. Now you can work with total control with your remote lights, without leaving your shooting position. Another new feature is Basic Trigger Mode. When enabled, it allows the MiniTT1 or FlexTT5 to work as a transmitter on ANY camera it will fit. Now those looking for the new small form factor of the MiniTT1 can use it on other DSLR’s, SLR’s or even medium format cameras with standard hot shoes. The MiniTT1 and FlexTT5 are completely reverse compatible with all previous PocketWizards so they will work with whatever PocketWizards already owned. High Speed Sync (HSS or FP Sync) Disable Mode. Now you can select either HSS Sync or HyperSync™ at shutter speeds at or over 1/640. This allows you to use HyperSync and the benefit of full power flash all the way up to 1/8000 with certain flash systems. Remote flash compatibility for the Canon 550EX, 420EX and 220EX on the FlexTT5. Automatic HSS Trigger Timing for Manual Flash. This allows you to mix a manual flash with an E-TTL II flash in HSS/FP Sync shots at 1/640 and above with certain flash systems. Continuous Remote Camera Triggering (FlexTT5 only). This allows for triggering a continuous motor drive burst of a camera connected to the P1 port on a remote FlexTT5. * Please read the Release Notes (Manual Addendum) for details concerning these new features. 580EX (both I & II) full compatibility with custom functions. Shutter speed limiting has been corrected. FlexTT5 P2 port triggering working properly. FlexTT5 test button trigger time delay corrected. To support the new features the PocketWizard Utility has also been updated. New product shipments with the latest firmware and utility will begin next week. Current owners should visit www.pocketwizard.com/support/downloads/ to download both the new utility (v1.18) and the firmware (v4.10). PocketWizard products are made by LPA Design, based in South Burlington, Vermont and sold by distributors around the world including the MAC Group in the USA. 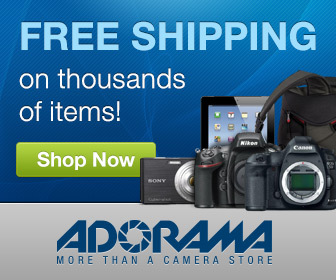 For more information: email info@pocketwizard.com. Can we use the STE2 with ratios as well on top of the MiniTT1? I'm sure that a lot of photographers are happy in this news.. I hope I can read more updates on this.. thanks. I still couldn't currently afford even the smallest fee in order to attend but would love to see this opportunity available to those who can in my area..